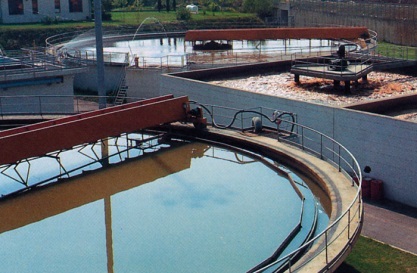 The sludge treatment industry arises from problems linked to the treatment of civil and industrial waste water. The use of abundant water generates a large quantity of waste water which requires special treatment to remove the harmful substances contained in it before it can be recycled back into nature. Purification plants were developed to remove the harmful substances contained in waste water by means of active or activated sludge thereby generating semisolid waste called thickened sludge, which in turn must also be disposed of. Over the years ongoing research and the use of new technologies have made it possible to dispose of and reuse waste material in many industries such as for example in biogas plants or to recycle it back into nature as fertiliser. 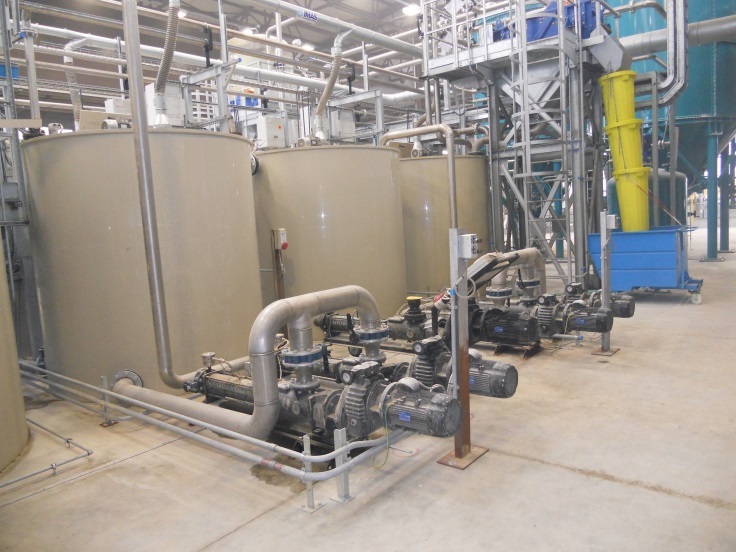 Disposal plants, normally huge centralised plants, reduce the moisture content of the sludge through a process of thickening and densification in order to generate a dry material that is easier to store and use. 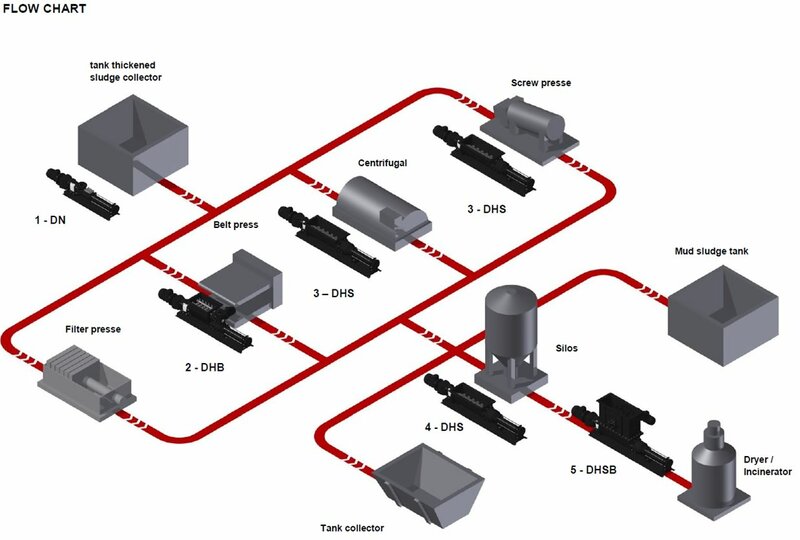 Nova Rotors has been operating in the sludge treatment industry for years providing the best possible solutions, a wide range of products, services and expertise to find the most suitable configuration based on the customer’s specific requirements. The various testimonials received from our customers both in Italy and from around the world over the years attest to the commitment of a dynamic company focussed on meeting the constantly growing market demands. 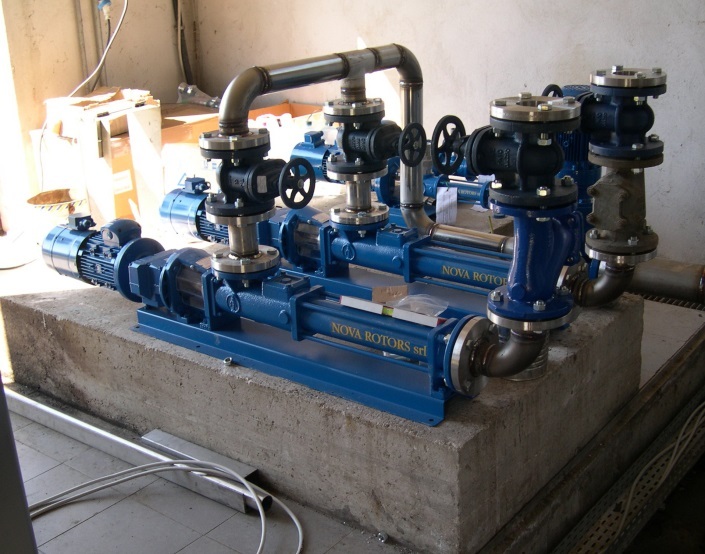 The pumps conceived and developed directly by Nova Rotors are designed specifically for the treatment of thickened and dewatered sludge with a high solids content of up to 40%, with low or high viscosity and that tend to plasticize, fluid or semi-fluid typical of sludge treatment plants. 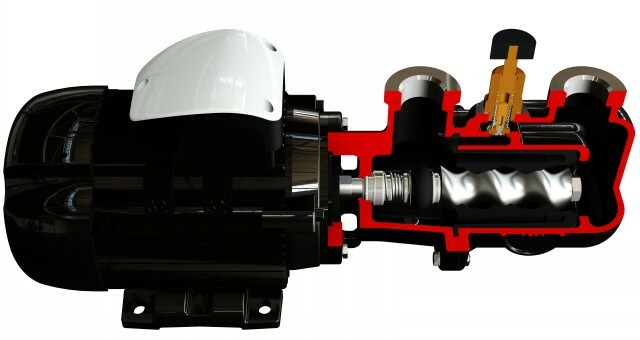 The Nova Rotors progressive cavity pumps are developed scrupulously in compliance with the strictest hygiene standards to guarantee high standards of quality, reliability and durability, by providing the best solutions throughout all the plant’s storage and treatment stages. Special attention has been given to the development of the most appropriate construction and arrangement types based on use in order to optimise each and every transfer. Model featuring a rectangular hopper, with joint protection sleeve and enlarged auger feed screw to move the product to the hydraulic part. Suitable for pumping high viscosity materials with low flowability and up to 28% solids content not prone to bridging. 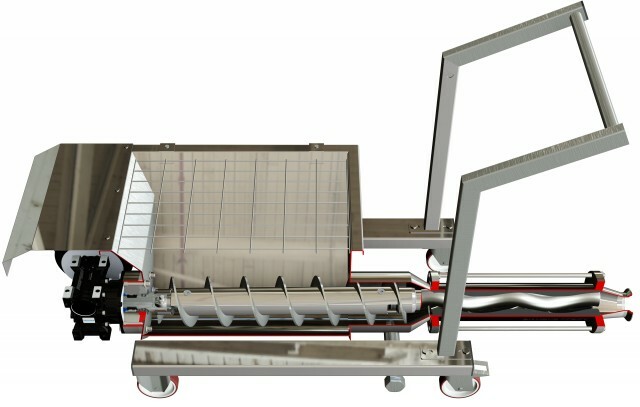 This model features a rectangular hopper, joint protection sleeve and an enlarged auger feed screw to move the product to the hydraulic part. A “B??? Module is installed on the hopper which feeds the screw by means of a wheel device to prevent bridging. Suitable for pumping non-flowing materials with up to 40% solids content prone to bridging and plasticizing. Vertical Series developed for pumping from tanks and wells immersed directly in the product to be pumped. The length can be adapted to suit the installation requirements. The stainless steel version (AISI 304 or AISI 316) is supplied with a stator jacket as standard to prevent corrosion of the stator. Two standard configuraions are available: the short version and the long version with split casing and bottom mounted guiding cone. Hopper pump DHS series used after filter press for the recycling of the dried sludge into a collector tank. 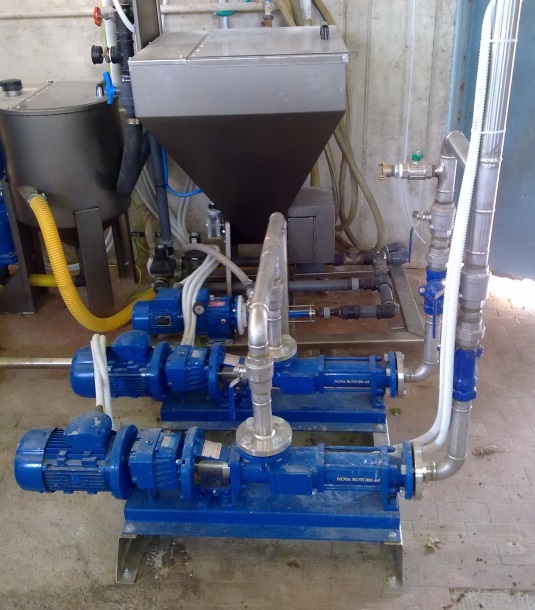 DN series used for sludge transfer in a waste water treatment plant. DN series used for chemical thickened sludge transfer to the centrifuge. 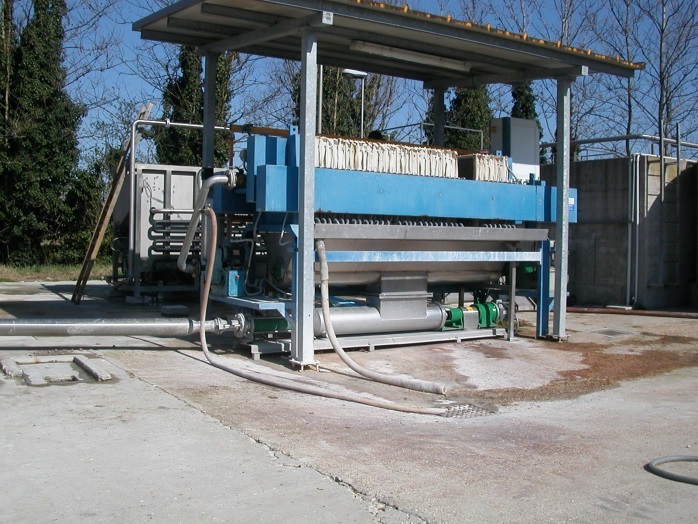 DN series used for transfer of polymer and sludge in a waste water treatment plant.